Aug. 8: This post has been corrected. New accusations that one of the nation's largest hospital chains performed more than a thousand unnecessary heart procedures grabbed headlines this week, but the practice is far from unique in U.S. health care. A 2011 study in the Journal of the American Medical Association found that only half of 144,000 nonemergency heart catheterizations — typically the use of tiny balloons and stents to clear blocked arteries — were appropriate; 38 percent were "uncertain" and 12 percent were "inappropriate." "It's presented in the media as if it's an aberrancy, when actually it's the rule," said Dr. David Brown, an interventional cardiologist and professor of medicine at SUNY-Stony Brook School of Medicine of the unnecessary heart procedures. "The medical system is addicted to the revenues that it generates." In 2011, Medicare alone spent nearly $1 billion on the procedures. While they boost revenues for doctors and hospitals, unnecessary procedures consume taxpayer money, raise insurance premiums and put patients at risk. Studies show that about 3 percent of patients experience serious complications. The New York Times reported this week that the U.S. attorney's office in Miami is investigating allegations that patients underwent unnecessary heart treatments at facilities owned by Tennessee-based Hospital Corporation of America, a 163-hospital chain. 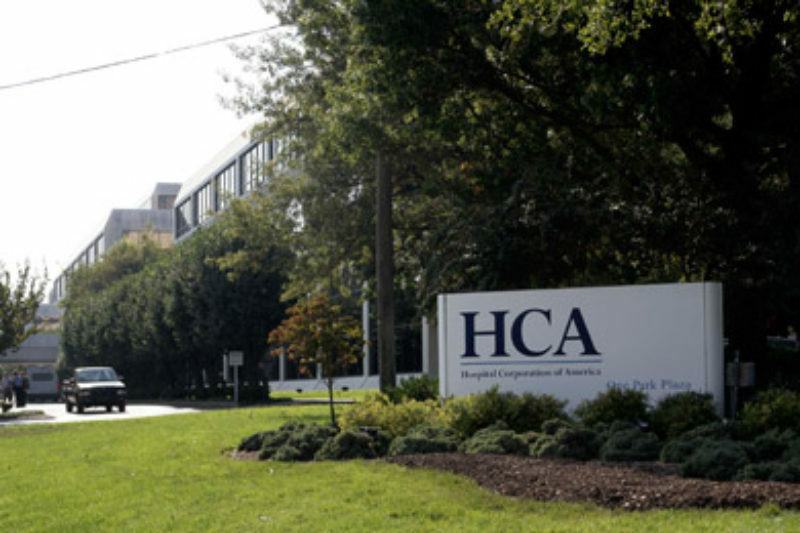 According to the Times, an internal HCA review found unnecessary procedures being performed at several facilities, including more than 1,200 at Lawnwood Regional Medical Center & Heart Institute, in Fort Pierce, Fla.
HCA did not return a call for comment, but said in a statement posted on its website that there's wide disagreement among physicians about which procedures are medically necessary and its use of stents was within the range of those at other hospitals. Comparisons to common practice among doctors and hospitals may not be the best barometer of proper patient care. Studies show that doctors often do not adhere to best practices when they treat patients who have plaque buildup in their coronary arteries but whose condition is stable. About 600,000 procedures are performed every year to clear coronary artery blockages, according to the American Heart Association. The procedure involves snaking a catheter through the patient's arteries and clearing the blockage with a tiny balloon and a small wire cage — the stent — that holds the artery open. But studies show that medicine alone is as effective in patients with stable heart disease and that many procedures to clear blockages are unnecessary. Brown published a review of eight studies and found "there's absolutely no evidence" for substituting stents for medical therapy in patients with stable heart disease, he said. The American Heart Association recommends putting patients with stable heart disease on blood thinning medication before they try a stent, said the authors of a May 2011 study in the Journal of the American Medical Association. Yet it happens in fewer than half of the cases where doctors use stents, the study found. There is some debate about the scope of the problem. Dr. William Zoghbi, president of the American College of Cardiology, says there are "pockets" around the country where unnecessary procedures are more prevalent. The college offers seminars and guidelines on appropriate use for doctors, he said, and keeps a national registry so they can compare their practices to others. Zoghbi said the educational efforts are showing signs of success. Unnecessary stenting persists in part because doctors are not explaining the medication-alone option to patients, said Dr. Michael Barry, president of the Informed Medical Decisions Foundation, which has created a guide of treatment choices for patients with stable heart disease. Barry was part of a team of researchers that surveyed 472 Medicare patients with stable heart disease about their interactions with doctors who performed nonemergency stent procedures on them. A key finding: Only 6 percent of the patients said their doctor offered medication as an alternative to a stent. Editor's Note: ProPublica is working on a project to document cases of harm to patients. You can share your story by filling out our Patient Harm Questionnaire, or by joining our ProPublica Patient Harm Community on Facebook. Correction: This post originally said that the Archives of Internal Medicine found that only half of 144,000 nonemergency heart catheterizations were appropriate. It was actually the Journal of the American Medical Association.